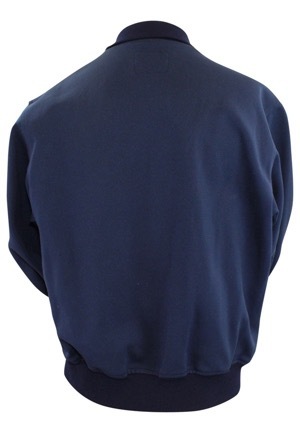 In the rear neck is the Starter manufacturer’s tag size “L” with the player number “19” handwritten on it in black marker. On the left inseam is a flag tag with jacket materials and washing instructions. 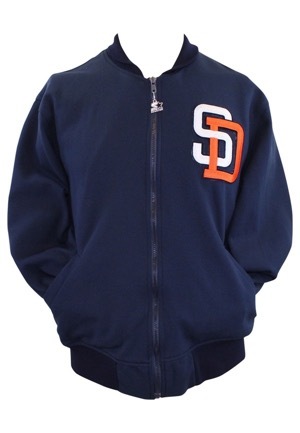 On the left chest is the Padres “SD” logo in white, orange and navy blue embroidery. 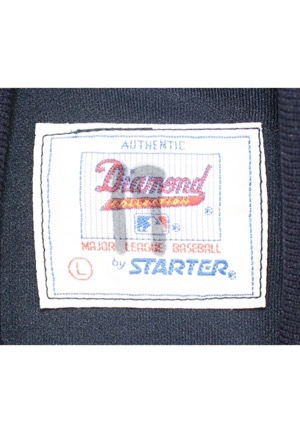 This jacket is properly tagged and was presented to us as player worn attributed to Tony Gwynn.